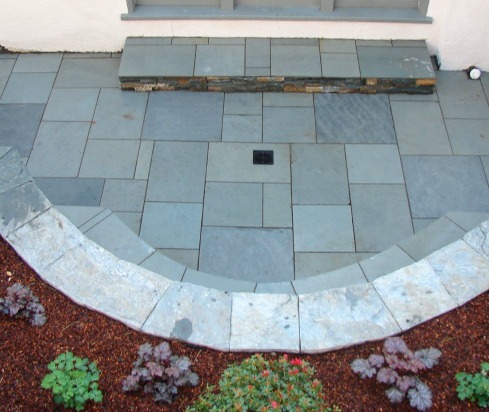 Excellent yard drainage is the foundation of a great landscape design. Thirteen years of design and construction experience means that we understand that proper drainage systems, gutter systems, retaining walls, and landscape grading are critical for protecting your home and garden from the costly damages caused by unmanaged rainfall, water seepage, and runoff. Our holistic approach balances technical solutions with an eye for aesthetic beauty. 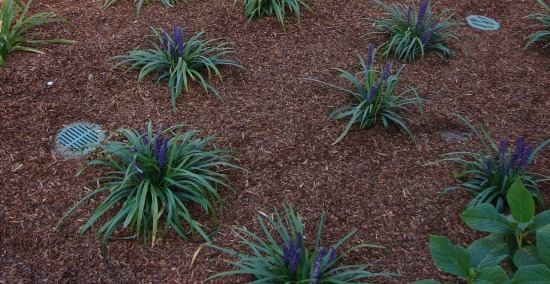 Sarah Ray Landscape Design is fully licensed, bonded, and insured. If you need yard drainage or a complete landscape renovation or anything in between, we do it all. 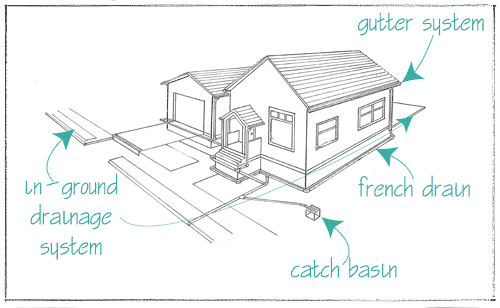 French Drains are gravel filled trenches that draw water away from foundations. 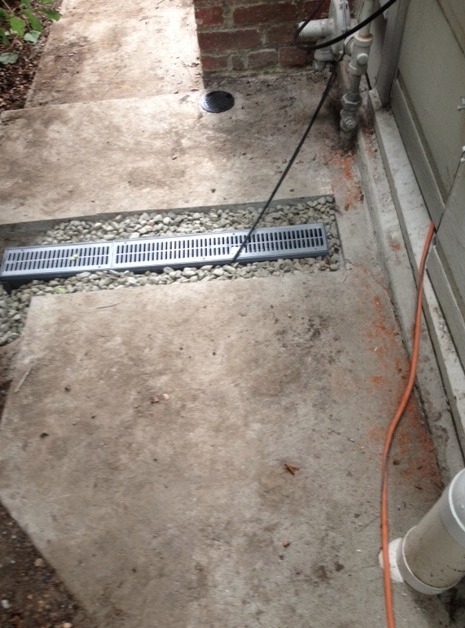 Here is a video of Sarah explaining how to install a French Drain. 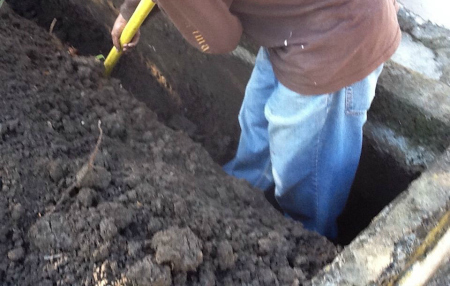 Underground Drainage Systems ensure that a yard drains properly and water is drawn away from the foundation of a home. Components include lateral pipes that are trenched and connected around the yard. 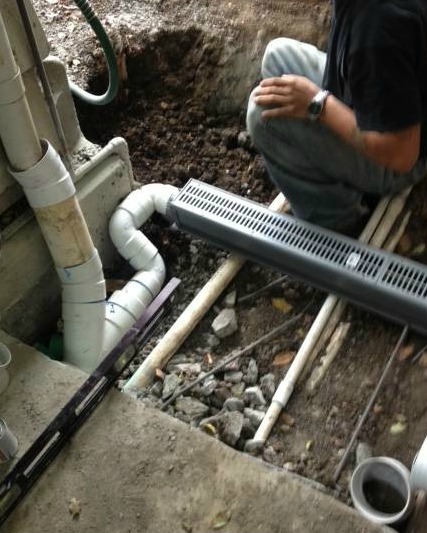 The lateral pipes are then connected to channel and area drains, as well as downspouts. 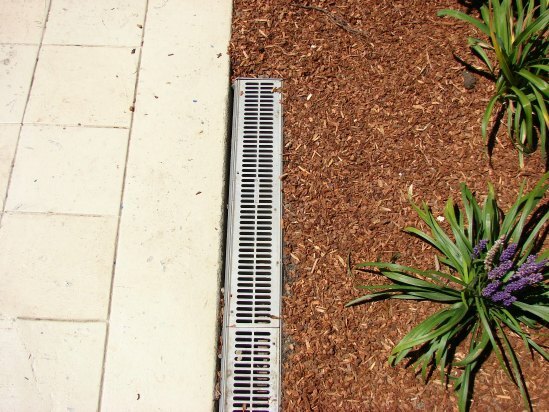 Trench and Channel Drains are used for the rapid evacuation of surface water from hardscapes, which can be conveyed to a city's storm water system. Catch Basins remove excess rain and ground water from paved surfaces. 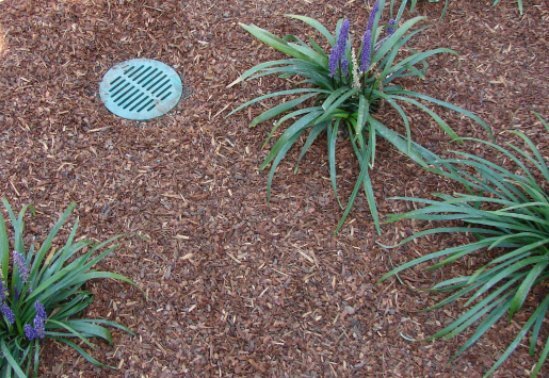 Yard Inlets are like catch basins but smaller and remove groundwater from softscape surfaces. Clean Outs are easy access points for maintenance of yard drainage systems. Dry Creek Beds are visually appealing and function as actual collection and means of discharging surface water. Sump Pumps are back up systems requiring electricity. When a sump pump fills with water the pump turns on to direct water away from the building. 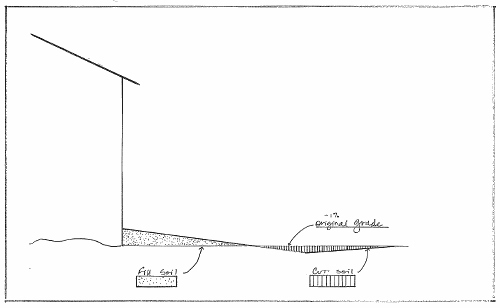 Slope Terracing/Regrading drain damaging water away from homes and buildings. Rainwater harvesting systems collect rainwater for reuse in irrigation systems. Gutter Maintenance removes foliage and debris from gutters to eliminate costly water damage and keep animals from nesting in roofs. The drainage patterns of preexisting landscapes are invariably altered by land development. Your landscape designer must plan for the movement of water. 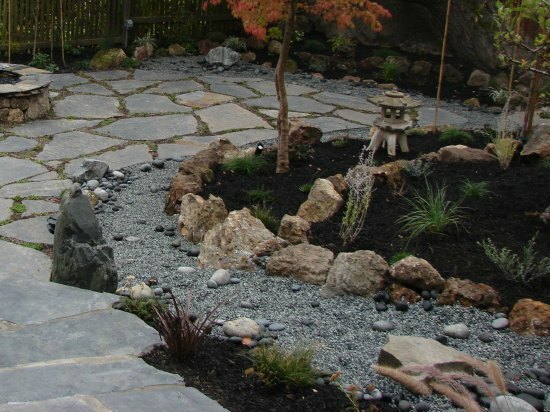 Therefore, when undertaking landscape renovation, it is vital that the company you hire understands that site drainage must be seen as a part of the design rather than as a separate element. 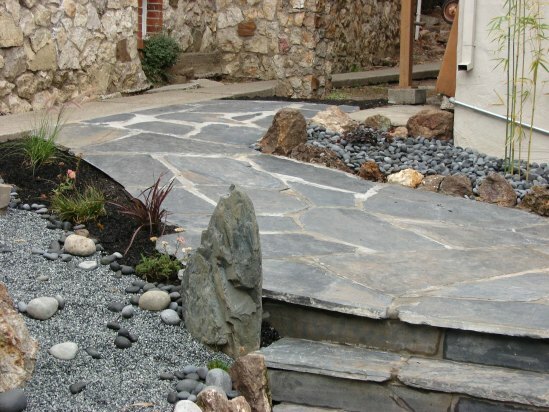 We are a unique company because we are a landscape design company that understands the complexities of drainage, AND we are a drainage company that understands the aesthetic significance of landscape design.